Set in the elegant Edwardian world of Cambridge undergraduate life, this story by a master novelist introduces us to Maurice Hall when he is fourteen. We follow him through public school and Cambridge, and into his father’s firm. In a highly structured society, Maurice is a conventional young man in almost every way—except that he is homosexual. Sirius: I first read Maurice three or four years ago and really loved it, but I never thought I would end up reviewing it. For those of you who have not read it yet (do! ), as the blurb tells you the story is about Maurice Hall, whom we meet for the first time when he is a fourteen year old boy preparing to go to another school. In essence this story is about Maurice growing up, becoming a man, finding a person he loves and loves him back, and hopefully having his happy ending – as we all know such stories belong to genre Romance. I think this book is a Romance indeed. I remember how shocked I was when I finished a story written in the beginning of the twentieth century and finding that yes, it ends happily (or at least as happily as it could with just a touch of open ending). &amp;lt;img class="alignleft wp-image-70504 size-thumbnail" src="//dearauthor.com/wp-content/uploads/2015/02/cover1-200x300.jpg" alt="Maurice EM Forster" width="200" height="300"/&amp;gt;Sunita: I’m not sure why I never read this book earlier, but when I recently came across some reviews and discussions about it and realized it had a happy ending, I knew I had to read it sooner rather than later. There is a terrific audio version with Peter Firth narrating, so I got that and persuaded Sirius that we should do a conversational review. Sirius: I have to be honest that one of the reasons why I did not want to reread “Maurice” was because for few weeks after my first read I could not touch most other m/m books. I felt that no other romance could come close because this one had such an in-depth study of human nature. It reminded me of Russian 19th century books and love story where everything worked on every level. And the writing was just so good. Sunita: I’ve read a few of Forster’s other novels and his writing is indeed impressive. This book was written early in his career, but he suppressed its publication because of its subject matter. When it was finally published posthumously in 1971, a number of critics called it a lesser work and even mediocre. While I agree with the “lesser” comment to an extent (it’s not on a par with Howard’s End, which some consider his finest), it’s still very good. I do wonder if some of the criticism stems from the fact that it has a happy ending for a gay relationship despite taking place during a period of homosexual persecution (it’s worth noting that the romance is inspired by a real long-term relationship). Sirius: If you think about it the plot is really simple. Boy is growing up, boy meets boy, they fall in love, they are together, they break up, the man is upset but eventually he meets another man, and this time they stay together, hopefully forever after the book ends. 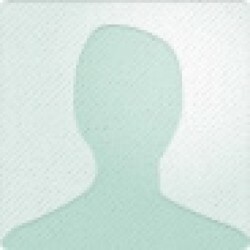 But we get to know the main character and several other characters to such a degree that they feel like real people. We get to know them as not just two human beings who fall in love (even though of course falling in love is one of the central themes of the books), but as “human beings”, period. Sunita: Yes, I completely agree. It’s a simple plot and the focus is on Maurice, so the book doesn’t have the complexity of some of Forster’s other novels. It’s set mostly in London, Cambridge, and the countryside, so there is none of the wide physical sweep you get in the other works. But as a coming-of-age novel I think it succeeds well and is powerful. Sirius: For example, the author devotes quite a few pages to Maurice’s relationship with religion. “It was the same with his atheism. No one felt as deeply as he expected. With the crudity of youth he drew his mother apart and said that he should always respect her religious prejudices and those of the girls, but that his own conscience permitted him to attend church no longer. She said it was a great misfortune. “Well, Dr. Barry doesn’t go to church himself,” said Maurice, falling into family habit of talking all over the shop. “He is a most clever man,” said Mrs. Hall with finality, “and Mrs. Barry’s the same”. I do not know about you, but I was amused at how this teenager wanted the whole world (or at least his family) to acknowledge his atheism, but nobody around him took him as seriously as he may have wanted to be listened to. 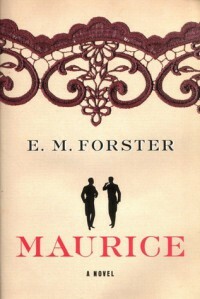 Sunita: I was struck by the role of religion in the novel too, because while I expected Forster to be anti-established religion given his background, he integrated the tension between religious faith and sexual orientation into the storyline subtly, and it worked differently for Clive and for Maurice. And like you, I appreciated that Maurice was not particularly special (so unlike heroes in romances written today). He was quite ordinary, except for his attraction to men, which of course wound up making all the difference in his life and which turned out to make him more self-aware and more willing to take risks for happiness than many around him. In the end he was the most interesting character to me even though he didn’t start that way. Sirius: In other words, I think what we have here is not a romanticized portrayal of the main character in the story which as I said above belongs in genre Romance, in my opinion. And still I really liked him. What we also see here is a real character growth of somebody who from being confused as to his attraction to men grows up, learns to be honest with himself about his feelings, and becomes a man. Maurice’s relationship with Clive Durham (it was interesting how he becomes Clive instead of Durham when they grow closer) grows in intensity at the same time that Maurice is beginning to mature into a man. I liked that the author did not just tell us that they were friends before they fall in love, but actually showed that they were friends since they were friends first. Clearly it was not easy for him or Clive to say out loud that they loved each other, and we learn that Maurice needs to sit on things before he figured them out. 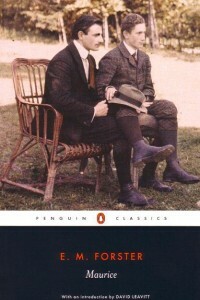 Those who have read the book know that the relationship between Maurice and Clive eventually ends. When I was rereading (and then listening to the audiobook), I once again wondered why it ended. I mean, I was pretty sure that Clive just was not strong enough to endure the life of non–conformism and that is why he convinced himself that he did not love Maurice and was not attracted to men anymore (and I am saying this without any kind of judgment – surely nobody should be forced to endure the persecution because of whom they are attracted to). Sunita: That’s how I read it too. Clive seemed more pitiable to me than anything else. He wasn’t a coward, and he didn’t seem to be permanently damaged by giving up Maurice and suppressing his attraction to men. He was just not that committed to anything but a highly conventional life, and despite his intellectual gifts, he wasn’t introspective. I don’t know – bourgeois, unfinished and stupid does not sound like a very respectful portrayal of somebody whom one likes, even if it is true. As I said before, Maurice is not portrayed as very gifted academically, even if I think “stupid” is not a word we can characterize him with. I am conflicted about Clive – I want to believe that he loved Maurice, but I am just not sure. Sunita: I think Clive was genuinely in love with Maurice, I just think it wasn’t very deep. He was very smart and gifted but he looked more interesting than he was. He enjoyed academic and intellectual study and debates, but he didn’t want to live that life. To me it seemed that when life with Maurice became too difficult, when it stood in the way of a conventional country-squire life, he couldn’t sustain it. Sunita: The romance with Alec requires us to read between the lines a lot, because it really is insta-love. But Alec does enough in his short scenes to give us the material we need to trust him, and we know Maurice so well at that point, and we’ve been on such a journey with him, that I was able to convince myself that it would work out. And Forster is such a good writer that small moments and actions were able to convey so much. Like you, I closed the book feeling happy for both of them.